Ebola virus outbreaks have presented major public health problems for sub-Saharan Africa for more than four decades. The single largest epidemic ever recorded occurred in Liberia, Sierra Leone, and Guinea and eventual spread to Nigeria, Mali, and Senegal between 2013 and 2016. 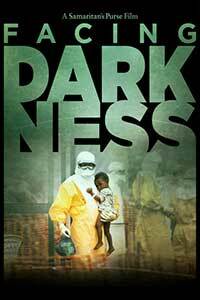 Facing Darkness is an account of a faith-based health organization sponsored by Franklin Graham’s Samaritan’s Purse that participated in the care of Liberia’s Ebola victims and the story of two Americans healthcare workers who contracted this deadly disease. The film’s sobering introduction has a young Liberian man Dgembo recounting the seventeen members of his family claimed by Ebola. We next hear from some of the healthcare team themselves: Dr. Keith Brantly and his wife Amber, Drs. Ed Carns, Linda Mobula, and Lance Plyler, Kendell Kauffeldt, Liberian Country Director and his wife Bev, and Dave and Nancy Writebol. Many of these personnel had already been in Liberia before the Ebola epidemic and, as the film demonstrates, needed a great deal of preparation to deal with its consequences. Ebola has a high case-fatality ratio, and, more importantly, lacks approved drugs for treatment or prevention. The local population distrusted the government and the standard medical care provided by hospitals and physicians, further hampering efforts to control Ebola’s spread. Since Ebola is transmitted by personal contact, trying to prevent families from touching infected loved ones was yet another obstacle to disease control. The magnitude of the epidemic was not adequately appreciated by the international community so the needed large-scale response was not readily forthcoming. The film’s entire focus shifts when Dr. Brantly falls ill. His initial symptoms were vague, not unusual for the early presentation of this disease. 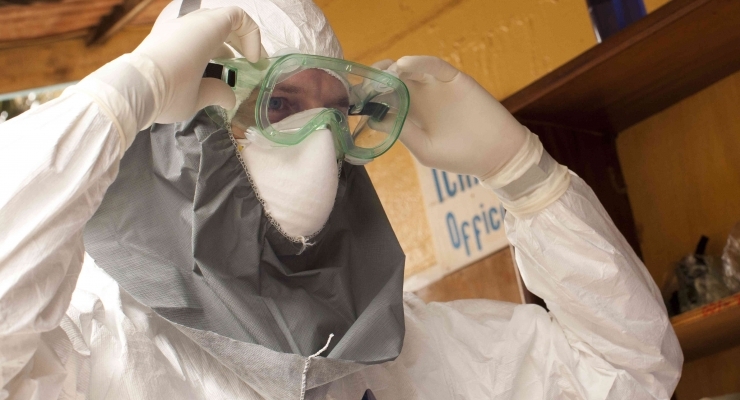 A few days later, Kent tests positive for Ebola as does missionary nurse Nancy Writebol. Questions and concerns quickly arise from the remaining staff about how the doctor, in spite of taking extraordinary biohazard precautions, became infected. The news about these two cases spreads and Samaritan’s Purse director Franklin Graham is faced with the challenge of getting these sick individuals back to the United States for supportive therapy. A major snag in patient transport was the difficulty in finding aircraft with containment chambers. Even when such an air transporter was located, there was public outcry against bringing Ebola patients to the United States. The lack of specific antiviral treatment was still a major obstacle until the experimental ZMAPP serum was located in Sierra Leone. With only a small amount of this antibody-laden serum available in the world, a critical decision had to be made as to whether Kent or Nancy would be the first to be treated. That decision was made for the healthcare team as Kent’s condition deteriorated and it became obvious that without any treatment he would die. The tension surrounding everything that followed is the stuff of which not only great documentaries are made but also of how extraordinary human-interest stories are told. A powerful documentary about the recent Ebola epidemic in Liberia and one faith-based organization's heroic and hazardous efforts to control it.